Shopping for Christmas is something you either love or loath. For some people it’s a labour of love with warm and heartfelt joy but for others it’s a chore with endless wandering through shopping malls with the vague hope of discovering a gift that siuts both the intended recipient and their budget. Add another dimension of being away from your home country and the prospect of a gift to take home and the gift selection becomes even more demanding. We’ve all seen the slogan: “My Mum went to Thailand and all she brought me back was this lousy T Shirt!” If you are looking for a piece of the real Thailand, whether that be to grace your home and/or loved one here or to take to your home country, our suggestion is forget about the westerised malls or ‘dodgy’ street side stalls and head for a place that has authentic Thai items. This should be where you can talk to the proprietor and learn about the origin of each piecesand establish the provinence, but also where the prices are reasonable and you can see and feel value for money. 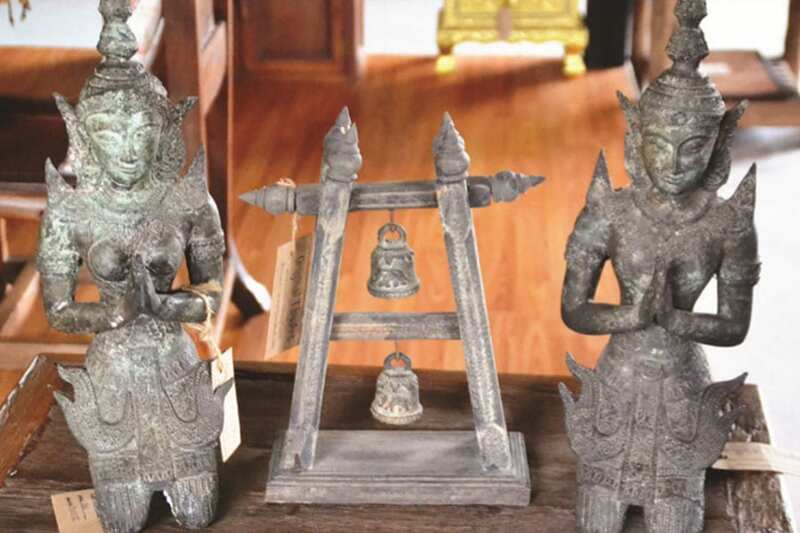 Our visit to Hua Hin Home Art met this criteria with owner Khun Ladda answering all our questions and always on hand for any advice needed in a huge showroom of Thai Treasures. Here’s what we found ……….